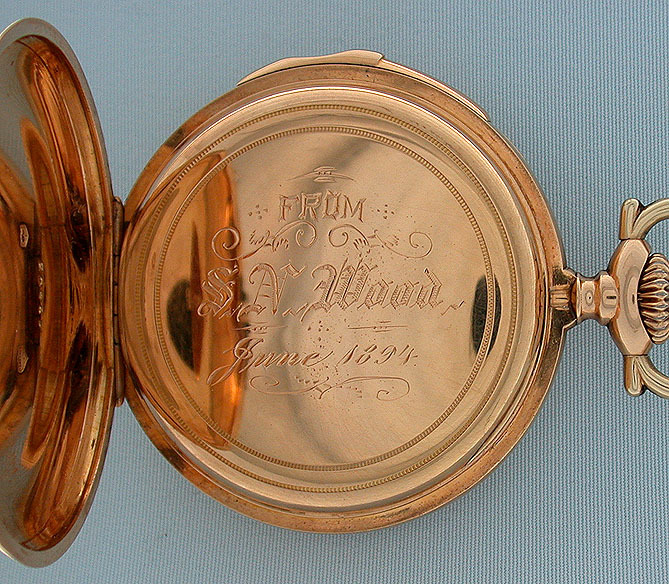 Fine and rare Louis Audemars 18K pink gold minute repeater circa 1894. 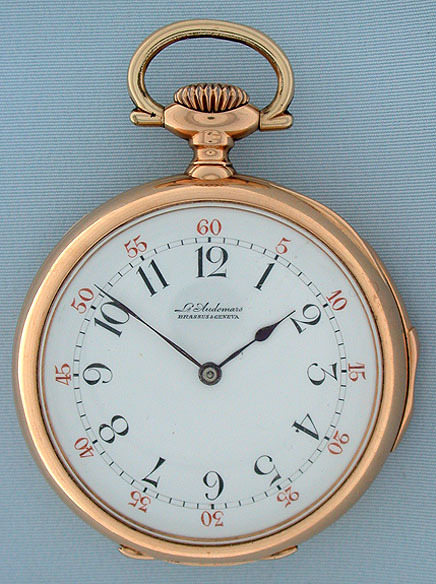 Fine white enamel dial with red and black numerals and blued steel hands. 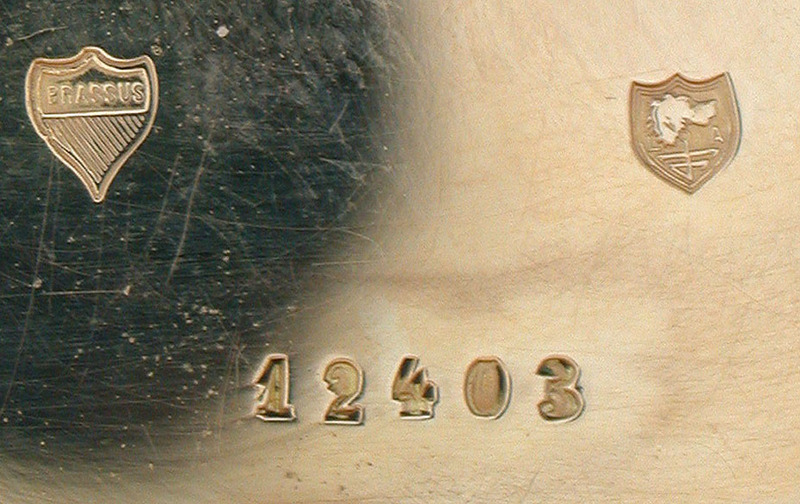 Plain polish 18K pink gold case with slide in the band to activate the repeat. 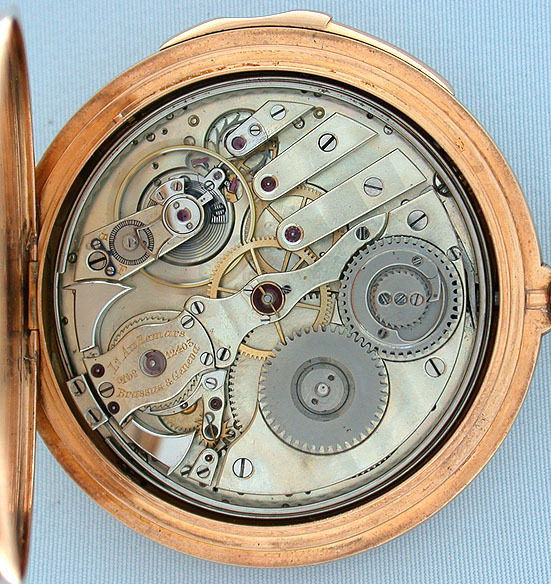 First quality 32 jewel movement jeweled to the center and the hammers with unusual winding click and precision regulator. 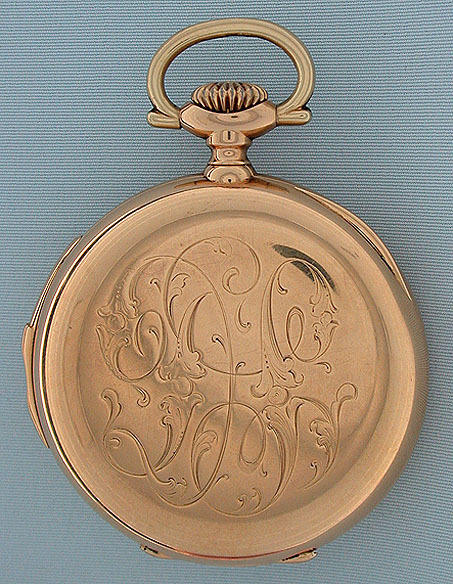 Unusual in that it is signed on the dial, case and movement. Louis Audemars was one of the most creative and highly respected makers.